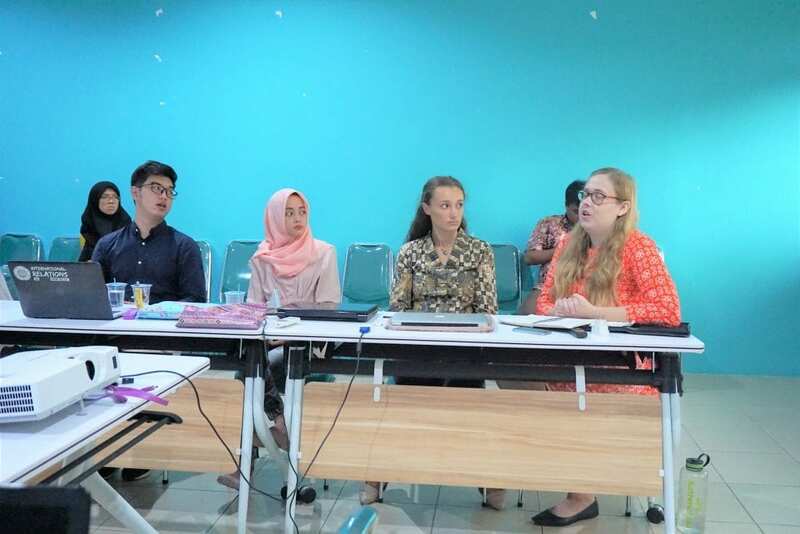 On Friday (7/12/18), Taylah Bell (Murdoch University & ACICIS Study Indonesia), Zoe Croucher (La Trobe University & ACICIS Study Indonesia), Angelo Wijaya (Gadjah Mada University), and Anisa Dian Larasati (Gadjah Mada University ) present at the UGM PSSAT Library to provide material on A Comparative Analysis of Blasphemy Laws in Singapore and Indonesia, ASEAN’s Role in Natural Disasters, Philippines’ Approach to South China Sea Dispute, and Return to Education: Any Human Capital Improvements in Indonesia in SEA Chat # 10: Panel Discussion. On Tuesday (9/10/18), Eva Rapoport from the College of Religious Studies of Mahidol University attended the PSSAT UGM Library to provide material about What Can Be Learned from Jathilan? An Outsider’s Perspective on A Popular Folk Dance in SEA Talk # 24. 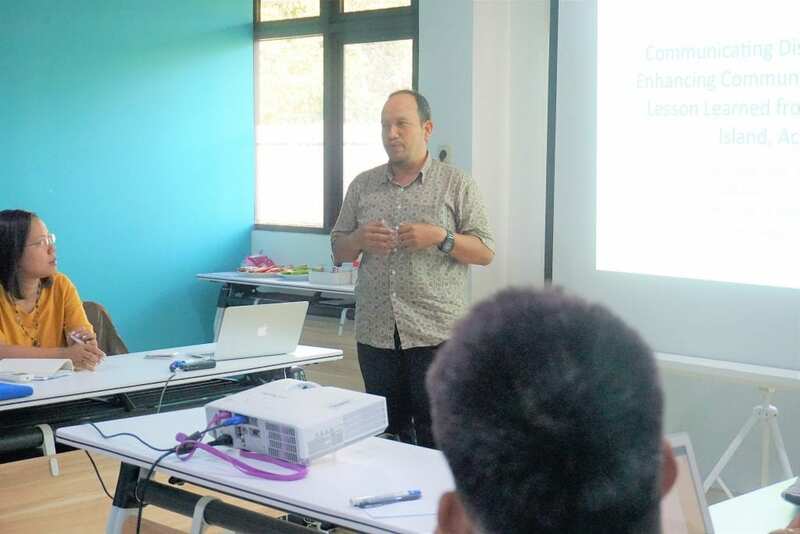 On Friday (9/21/18), Dr. Alfi Rahman from the Tsunami and Disaster Mitigation Research Center (TDMRC) of Syiah Kuala University, Banda Aceh attended the UGM PSSAT Library to provide material about Communicating Disaster Risk in Enhancing Community Resilience: Lesson Learned from Simeulue Island, Aceh in SEA Talk # 23. In his presentation, Dr. Alfi argues that on Simeulue Island, Aceh, residents have their own preventive measures to prevent tsunamis being based on their local wisdom. The local wisdom is in the form of songs which in the lyrics contain prevention of tsunamis. Evidently, in the past December 26, 2004 Aceh Tsunami, only a small number of residents on the island of Simeulue, Aceh were victims, even though their area was included in the affected area. On Wednesday (8/8/18), Professor Hak-Soo Kim from the Faculty of the School of Communication of Sogang University in Seoul, South Korea attended the UGM PSSAT Library to provide material about Community & Communication: A New Perspective in SEA Talk # 22. 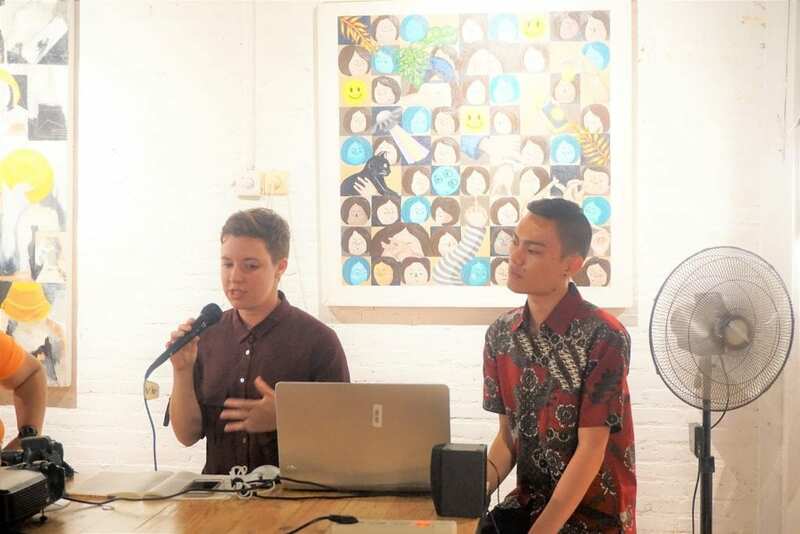 On Friday (7/19/18), Zachary Frial, Annemarie DiCamillo (Georgetown University, Washington, DC, United States students & USINDO) and Pemetik Buah Khuldi were present at AOA Resto & Creative Space to provide material on Trans-Forming Body and Space: Motion, Movement, Momentum in SEA Chat # 9. Before starting the presentation, Frial, DiCamillo, and the Pemetik Buah Khuldi played their own film which told about the unique gender expression of each individual. In the discussion session, the three presenters and attendees discussed how in different places (in this case are city and state), people’s tolerance for non-normative gender expression was different. On Friday (22/06/18), Faculty of Liberal Arts students from Thammasat University arrived at the Center for Southeast Asian Social Studies (CESASS) of Universitas Gadjah Mada for SEA Gate 2018 program for the next three months. The opening of SEA Gate 2018 program was held at PSSAT UGM Library, opened by Dr.phil. 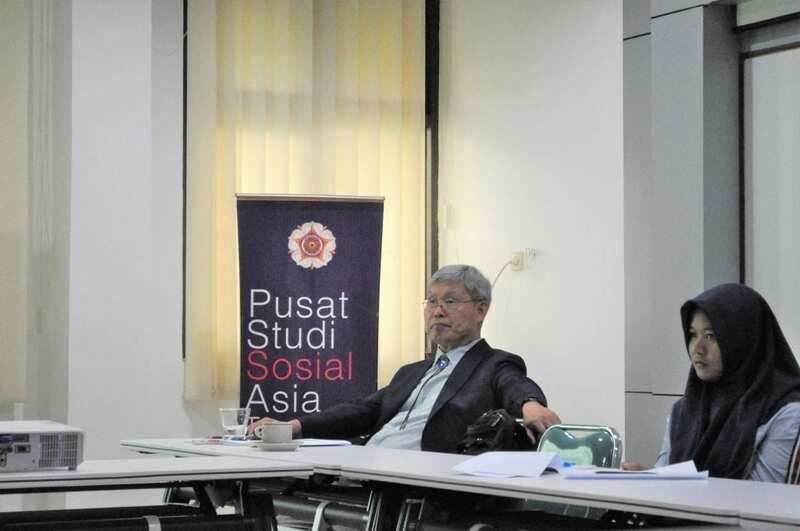 Hermin Indah Wahyuni as the director of PSSAT UGM and Dr. Hamam Supriyadi as lecturer of ASEAN Studies, Thammasat University. In her speech, Dr.phil. Hermin Indah Wahyuni together with Aditya Indra Nugraha, S.Ant. as SEA Gate 2018 Program Manager, said that the program is expected to further strengthen the relationship between PSSAT UGM and Thammasat University which has been collaborating in two programs: SEA-GATE and Visiting Program. The opening was moderated by Varrel Vendira Rizlah Putra, one of the staff of PSSAT UGM, and started with an introduction with 16 students of Faculty of Liberal Arts Thammasat University. The opening was also attended by 16 active bachelor’s and master’s students of Social and Humanities Cluster at UGM as tutors for program Southeast Asian Language Training Program. A week later, PSSAT UGM will attend 4 College of Innovation, Thammasat University students who will also learn Bahasa Indonesia during college vacation for up to two months ahead in PSSAT UGM in order to fulfill the task of ASEAN Studies subject which is coordinated by Dr. Hamam Supriyadi. On Friday (25/5/18), Miranda Traeger, a student of Faculty of Law at The University of Adelaide Australia, presented her views on the education system in Australia and Indonesia at a monthly discussion, SEA Chat # 8. In a friendly ambience at CESSAS Library UGM, Miranda started her presentation by inviting each participant to share their research and personal interests on Southeast Asia. 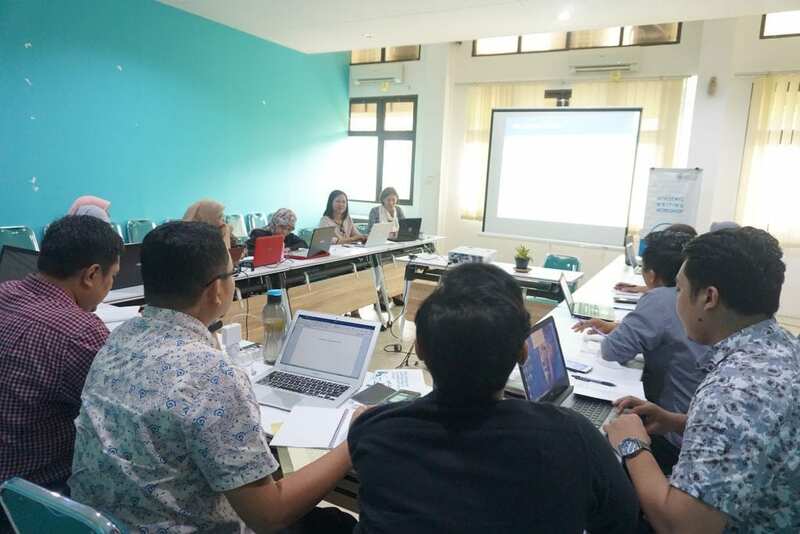 She then drew their attention on education issues while comparing fundamental and practical elements of Indonesian and Australian education framework. The discussion was fruitful, some participants who used to live or study in Australia for several years remarked on the distinctive teaching method of Australian teachers. Moreover, she added that a number of programs are in place in order to strengthen Indonesia-Australia relation. This included a list of Australia-Indonesia cooperative education programs and institutions. One of them was a student exchange program. 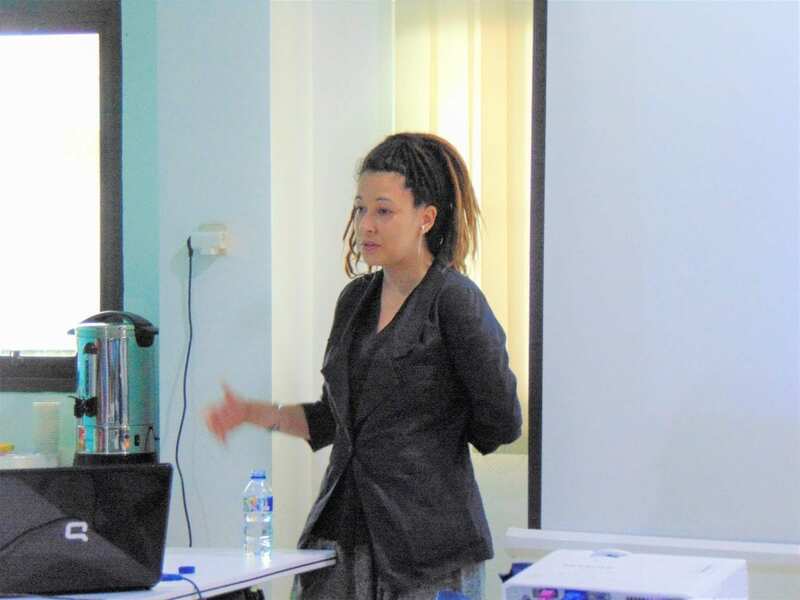 She herself benefited from a student exchange scheme, ACICIS Study Indonesia. On Friday (11/5/18), SEA Talk #21 was conducted on “Corporate Power and Global Governance: Australian Miners in Indonesia” with Lian Sinclair from Murdoch University as the presenter. This topic was based on his fieldwork on Australian Mining companies operating in three different locations in Indonesia namely Kulonprogo, Kutai Barat and Halmahera Utara. Lian discussed that mining companies tend to be benefited from global governance (UN, WTO, and others) when conflicts with local communities occurred. One of strategy of dealing with those conflicts was CSR (Corporate Social Responsibility). CSR helped the companies to reduce possibility of clash with local societies as they indirectly involved in companies’ management process. However, many conflicts still persisted because of the localities of the problems.